Located in a building from the 1930s, The Pearl is an elegant three-story Cabaret and bar conveniently nestled in the historic Hongkou district. 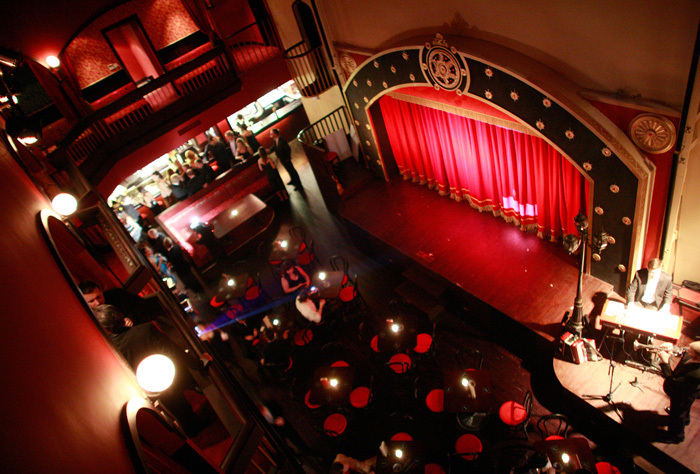 This three-floor events space has hosted a broad variety of functions, from corporate events to concerts featuring rock and roll, dance, jazz, original theater and Burlesque. In addition to being unique performance space, The Pearl and Pearl Productions produce and tailor a broad range of shows and host of unique entertainers for the individual client’s event needs.